One of my favourite jobs at the Cakery is working on new recipes, so when I got a message from SO Coffee asking about a collaboration I was pretty excited. I love cake, I LOVE Coffee, and coffee cake is definitely one of my favourites. 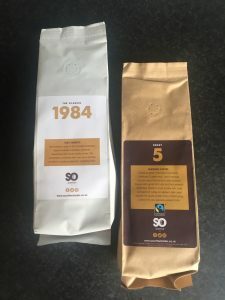 I had a bit of a brainstorming session on some coffee themed cake ideas, outside of the usual Coffee & Walnut, and sent some suggestions to Scott who recommended which of their blends would work best for each flavour. Using the SO Coffee 1984 blend, and a pot of our delicious, home-made salted caramel sauce, we made a ‘Caramel Macchiato’ cupcake. A light coffee flavoured sponge, soaked with a coffee drizzle topped with a caramel-infused cream cheese buttercream and a drizzle of salted caramel. 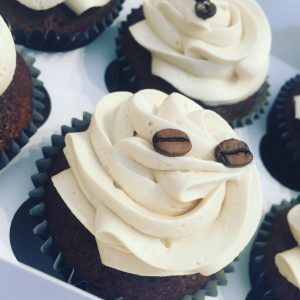 The next flavour has quickly shot to my all-time-favourite cupcake – the Espresso Martini! A chocolate sponge flavoured with SO Coffee Front 5 blend and Tia Maria, doused with our own Espresso Martini syrup (made with Tia Maria, Coffee, Vodka & sugar), topped with vanilla buttercream flavoured with THE syrup and decorated with coffee beans. I am absolutely loving these cupcakes! 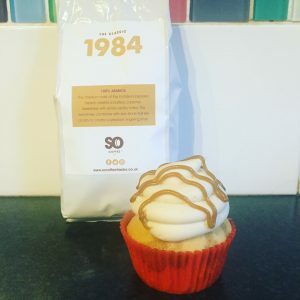 I know a lot of people have a love/hate relationship with coffee cake but if you do like coffee, these cupcakes are delicious and available to order now. 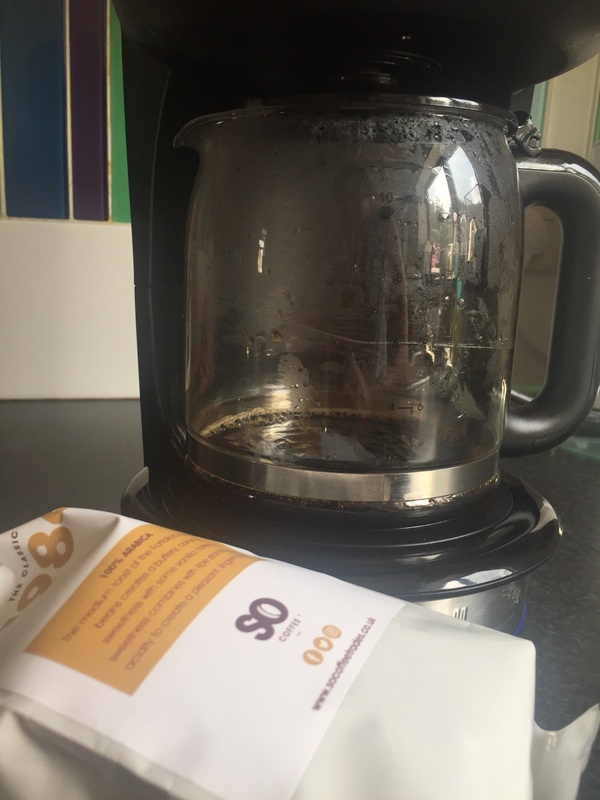 If you have a fabulous local product that would work well in a cake or cupcake recipe and would love to work with us please get in touch.